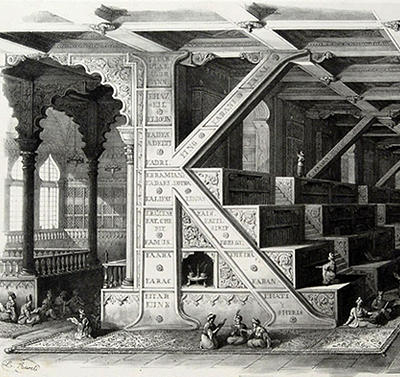 In Bologna, Italy in 1839, decorative artist Antonio Basoli published a fantastic set of lithographs for his book, Alfabeto Pittorico (Pictorial Alphabet, or a collection of pictorial thoughts composed of objects beginning with the individual letters of the alphabet). His elaborate architectural drawings of twenty-four letters of the alphabet and one ampersand (sorry J & W), became later known as Basoli's Alphabet. 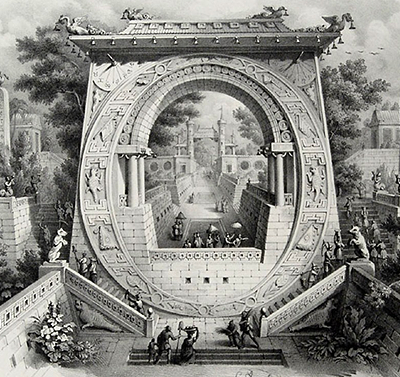 View all of them in this video below. 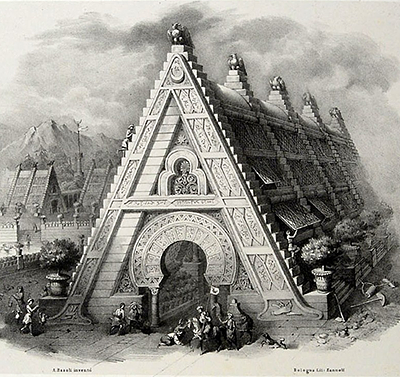 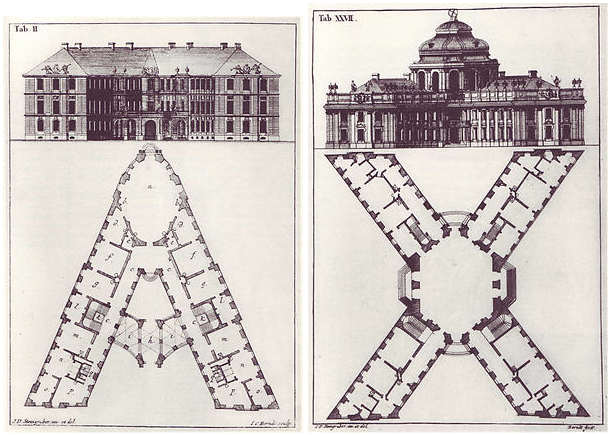 Basoli wasn't the first and only to propose this idea of architectural alphabets. 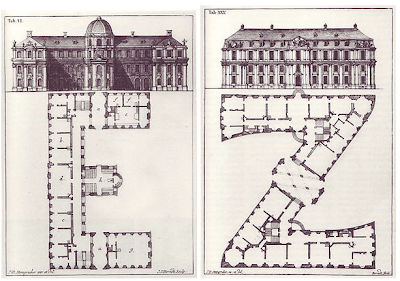 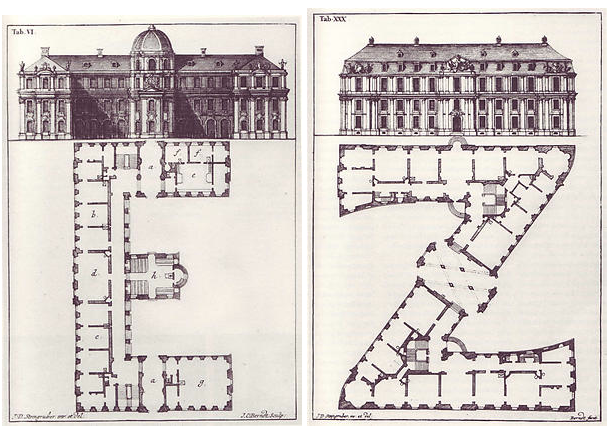 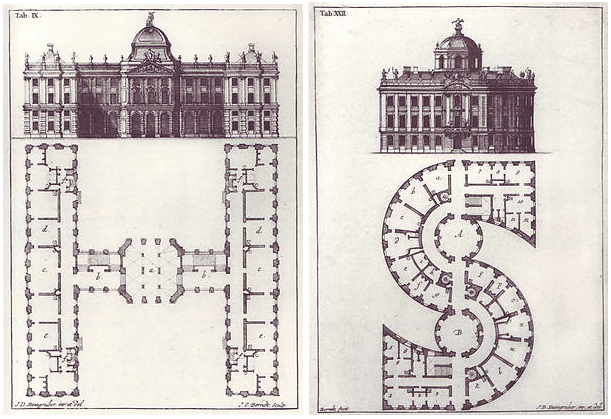 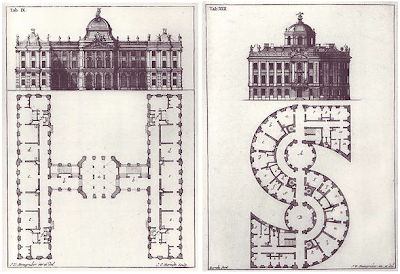 In 1773, Johann David Steingruber published his book of palatial plans, Architectonisches Alphabeth, where he designed grand construction plans based on the twenty-six letters of the alphabet. 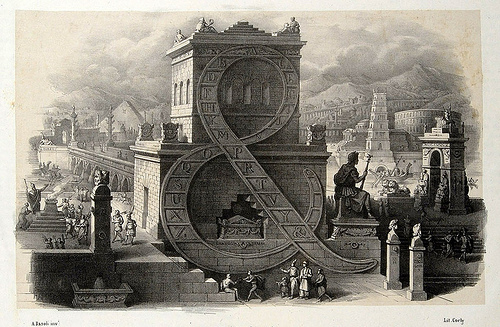 To learn more, read Giornale Nuovo's post on Steingruber's alphabetical wonders, which is fortunately, still on life support. 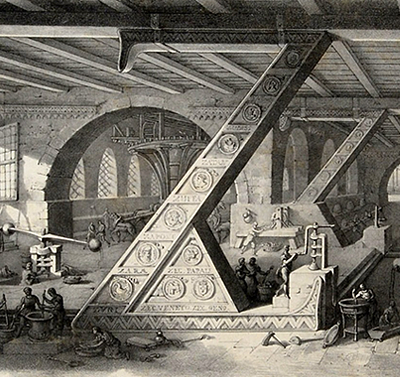 You can also read his dispatch on Basoli's Alphabet here.